The newest member of the AMG GT family poses for the camera and shows off its sleek design. 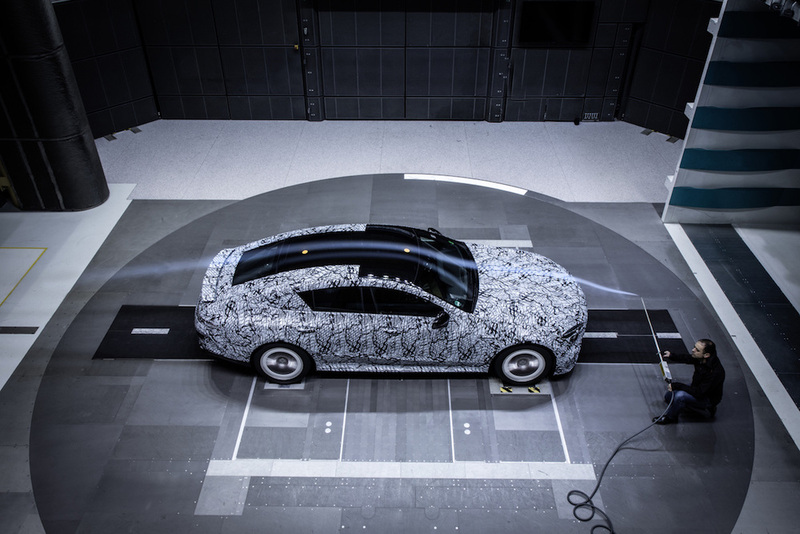 Mercedes-AMG has released another round of teaser photos of its upcoming AMG GT four-door coupe, but unlike the last few snaps that took place on European mountain roads, these were shot inside AMG's own wind tunnel. The common denominator between all the photos released by the automaker is the lack of information that's provided along with them. In both instances, Mercedes has only taunted us with the GT's unveil information, which will take place at the Geneva Motor Show in three weeks. Regardless of the secrecy, there are a few things we already know about Affalterbach's upcoming baby. For starters, it's based on the controversial GT concept that was unveiled a year ago in Geneva, you know, the one with gold wheel inserts and a West Coast Customs-style paint job? 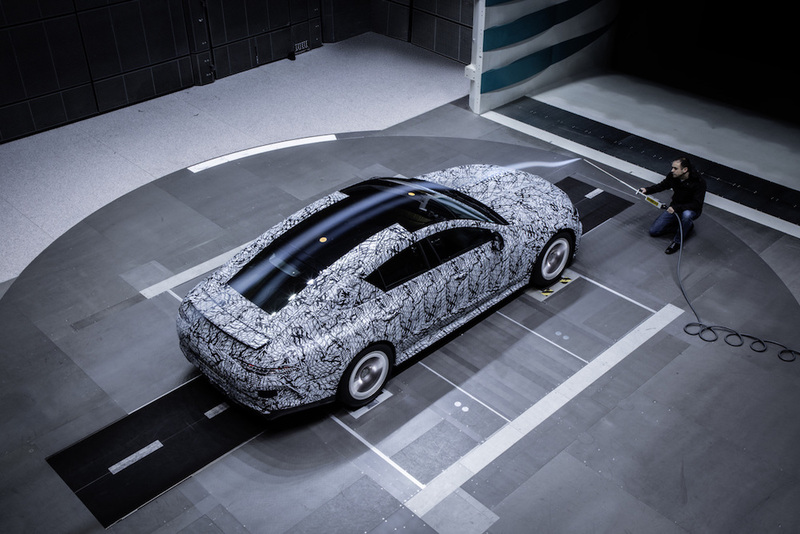 Second, it will employ the brand's Formula 1-derived EQ Boost+ mild hybrid system that made its debut in the 2019 Mercedes-AMG CLS 53. Third, it will sport the retro-licious Panamericana grille that's currently found in the automaker's GT lineup. 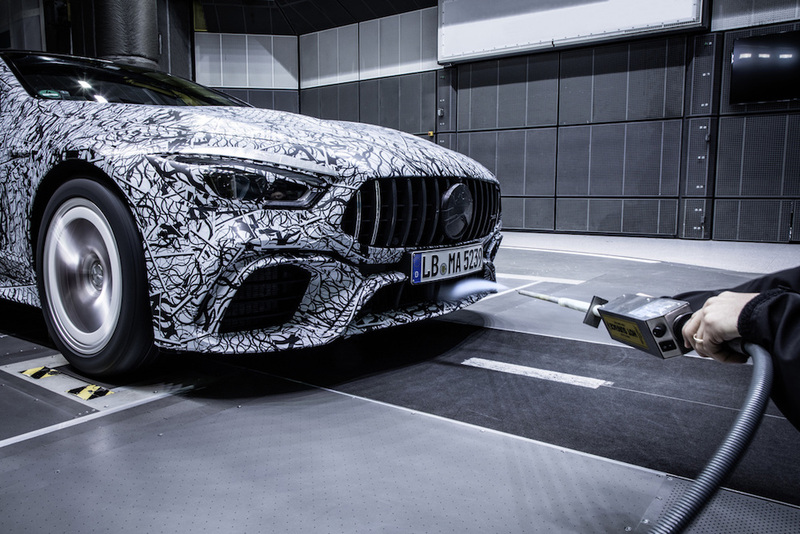 Will Mercedes-AMG release more teaser shots as the debut nears? Most likely, but we're just hoping it doesn't turn into an agonizing series of sneak peeks like Dodge did with the Challenger Demon. Slight design tweaks, bigger screens, 14 more horsepower, and semi-autonomous tech come to the facelifted C-Class.